Although we provide plenty of other services it is still perfectly clear that our bread and butter are still our towing services. For that, we have amassed the perfect combo of man and machine. A full roster of different types of trucks and equipment that do all of the dirty work for us. While the line up of men and women provide the brains of the operation. You don’t need to put your brain to the test when looking for a tow truck service garland knows that it can trust the guys at Garland Towing Service! 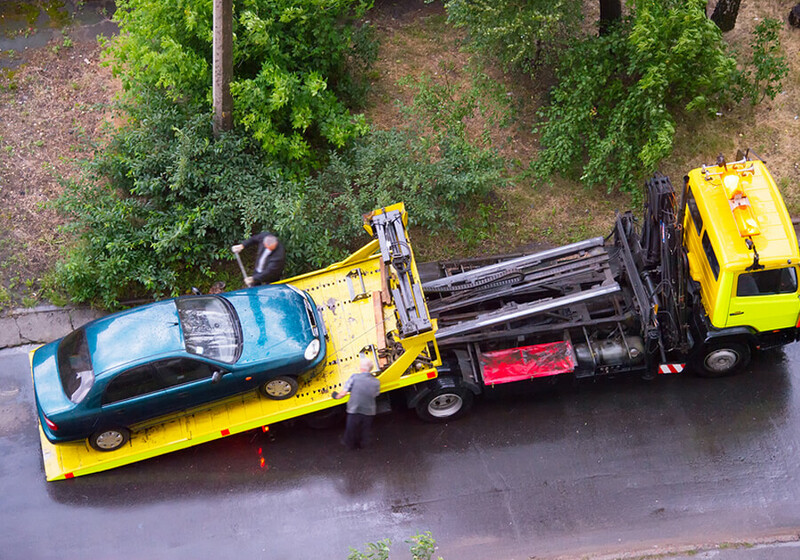 Repo trucks are the trucks that tow a vehicle while the two back wheels are still rolling on the pavement. We can use this type of towing service to tow small sedans all the way to medium sized vehicles. We have other repo trucks that can handle bigger vehicles like vans and SUV’s make sure that you specify what type of vehicle is need of this service when you call to ensure that our specialists will come fully prepared. That said, these trucks are usually the easiest to hook a car on and go. They are intended to cover only short distance towing services though. Our flatbed tow truck lineup is called in on numerous occasions. Since in these types of trucks the car is completely elevated onto a platform that later will sit on the truck bed they are the preferred vehicle when performing long distance towing services. When the car can still drive under its own power it can be lifted onto the truck by being driven up a ramp that will later be the flatbed itself. This can help prevent any type of damage during the tip. They are also a great option to transport motorcycles that can be tied down to the flatbed. These types of trucks are the ones that we take out for a spin when we are called in to take on a heavy duty service. Most of the time they have the same shape of a flatbed truck except they have a crane attached to the truck. With this crane operators can lift heavy objects on to the platform and then tow them away safely. This type of system works very well when transporting heavy construction materials and also while performing winch outs and roll back services. These trucks are usually modified versions of a heavy duty pick up truck. We modify them to give them a higher capacity to carry all kinds of tools and gadgets. While also have wires installed to be able to properly provide a winch out. Think of them as that golf cart out on the course that sells all kinds of foods and drinks. In this case, though the course is a lot bigger and we bring tires, batteries, and tools to help you out in the event of an emergency.